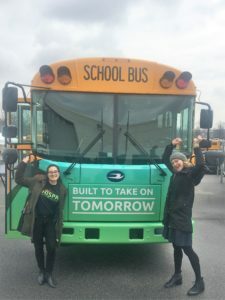 Join the growing movement for electric school buses today! Sign our petition here! Read our Whitepaper on the need for electric school buses. As part of our Clean Buses for Healthy Niños (CBHN) Campaign, we’re asking Governor Andrew Cuomo and the Department of Environmental Conservation to put our children’s health and safety first and use the state’s $127 million Volkswagen settlement to fund electric school buses in environmental justice communities. In September 2015, the EPA filed a complaint against Volkswagen for cheating federal emission tests. Volkswagen admitted to illegally using software to bypass pollution control systems. The illegal tampering resulted in certain vehicles releasing dangerous diesel emissions, up to 40 times the U.S. EPA compliance level, and polluting our air. In the final settlement agreement, Volkswagen agreed to spend up to $14.7 billion on remediation efforts to limit diesel emissions. 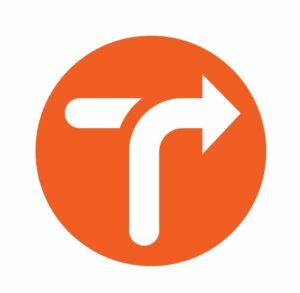 $2.7 billion will go towards the establishment of Mitigation Trusts in impacted States for the implementation of clean transportation programs. 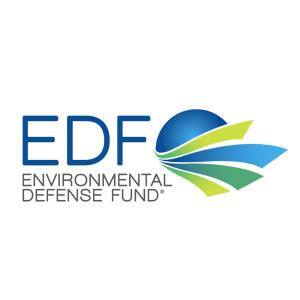 New York State is set to receive $127 million dollars, which will be allocated through the Department of Environmental Conservation. Read the New York Community Trust’s coverage of the settlement. Exposure to diesel emissions can be detrimental to your health. Air pollutants, such as Fine Particulate Matter (PM2.5), Nitrogen Oxides (NOx), Elemental Carbon (EC), and Ozone (O3) are all byproducts of diesel emissions and immediately irritate lung airways and exacerbate asthma symptoms. Some symptoms of short-term exposure include decreased lung function, respiratory tract inflammation and irritation, aggravated asthma symptoms, and persistent wheezing. Over time, exposure to these air pollutants can lead to chronic conditions. Diesel emission exposure has also been linked to higher rates of lung cancer and greater risk for bladder cancer. Some studies link lower birth weight and decreased lung function in newborns to ozone levels in their communities. A 2017 study links fine particulate matter and smog (ground-level ozone) to higher rates of mortality. Children are especially vulnerable to the dangerous health impacts of diesel pollution because of their physiology and anatomy, making them more susceptible to asthma and chronic respiratory and cardiovascular illnesses. Air pollution limits lung growth among children and those who grow up in more polluted areas may never reach full lung capacity. In New York City, African American children are five times (22%) as likely as white children (4%) to be diagnosed with asthma. Latino children are three times as likely (15%) and Asian children are twice as likely (10%). Asthma-related illnesses are a leading cause of school absenteeism. In 2013, the EPA reported 13.8 million missed school days due to asthma in the U.S. Children with asthma typically lose an additional 2.8 days of school than their non-asthmatic peers. In 2012, the median annual medical costs of asthma were $983 per child in the U.S.
11.1% of adults in Albany currently suffer from asthma. Some areas of Albany County reach a 40% asthma rate, compared to the countywide average of 11%. Parts of Albany have 5x the asthma-related emergency department visit rates and 4x the asthma hospitalization rates than the rest of the State. “Bomb trains,” freight trucks and school buses all contribute to the deteriorating air quality in Albany and exacerbate health problems. Capital Region children have the highest hospitalization and emergency department visit rates of any age group (both are 60% higher than the overall regional average). Between 2011 and 2013, Children from ages 0-17 faced a higher rate of asthma hospitalization than both the capital region and upstate rates. In the same years, Albany children had a higher rate of emergency department visits. When adjusted for race, the same report shows that in Albany, minority communities were hospitalized for asthma-related symptoms at a higher rate than non-Hispanic Whites. Non-Hispanic Blacks were nearly 5 times (34.2%) as likely and Hispanics were about twice as likely (11.2%) to be hospitalized for asthma-related symptoms as non-Hispanic Whites (6.9%), per every 100,000 persons. Among Brooklyn children, the asthma rate is 310.87 per 100,000 children, which higher than the New York State’s overall rate of 210.39. Department of Health suggests the majority of asthma visits in Brooklyn are among very young children between the ages of two and five. Misconception #1: The upfront costs of Electric School Buses are too high. Electric buses can range from $230,000-$330,000 and can be twice as expensive as purchasing a standard school bus. While the upfront costs of electric buses can be daunting, there are many national, state, and local grants and partnerships designed to ease the initial financial burden. All electric school buses currently on the roads have been funded by grant programs and partnerships—and the VW Settlement offers a unique opportunity to supplement the costs even further. Over time, electric school buses can actually save a school district money. Each electric school bus can save a district $2,000 in fuel costs per year, $4,400 in reduced maintenance costs per year, and around $31,000 over a bus’s lifetime. If the bus is equipped to send stored energy back to the electricity grid, it could potentially generate $6,000 in revenue each year. Misconception #2: The Charging Infrastructure is too expensive and difficult to install. Federal and state funding programs are available to alleviate some of the costs of purchasing new charging infrastructure. The VW settlement agreement also considers charging stations and equipment to be an eligible project for the State Environmental Mitigation funds. Charging stations are also relatively easy to install at existing bus depots and parking lots. With Level 2 Charging: 240V being the most common system for electric buses. Misconception #3: The Training for Mechanics and Drivers will be time-consuming and unnecessary. Bus driver training is often routine and ensures safety and optimal operation of vehicles. Electric bus training ensures that the buses are running efficiently and producing the maximum health and economic benefits throughout the bus’ operating life. Another added benefit is the health impact for drivers. Being on the bus is the most at risk in terms of diesel pollution, and drivers ride the bus longer than anyone else. Switching to an electric bus means that the driver is no longer exposed to harmful pollutants at work. Electric Operations and Maintenance is a new, growing job market, providing employment opportunities to individuals within the community. In several states, such as New Jersey, Massachusetts, and California, training courses and workshops are already available to train mechanics. 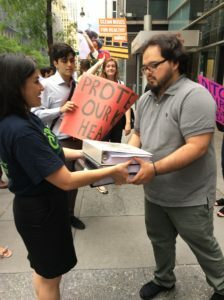 This past June, NYLCV successfully delivered our petition to Governor Cuomo, asking him to fund electric school buses in school districts overburdened by poor air quality. Over the past six months, NYLCV mobilized community members, raised public awareness about the dangers of diesel school buses and emboldened our partners and allies to demand action from New York State. In total, we gathered nearly 6,000 signatures from New Yorkers concerned about the health and safety of New York’s school children. At our rally, we spoke to the public about the environmental, health and economic impacts of diesel school buses and air pollution. We also highlighted the importance of the rare opportunity New York State currently has. The Volkswagen Settlement establishes a state mitigation fund which provides the DEC and Governor Cuomo with a chance to invest in clean transportation, protect our children and undo the disparate impact of climate change on the economically disadvantaged and communities of color. Together with our partners and community leaders, we continue to demand that the state use the $127 million it received from the Volkswagen Settlement to fund electric school buses in environmental justice communities. Watch our rally and petition delivery here. 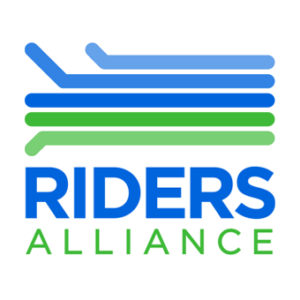 Do you or your organization want to join our coalition? Contact us today: Angela Hotaling at ahotaling@nylcv.org or Adriana Espinoza at aespinoza@nylcv.org. Thank you to our valued partners. Special thanks to the New York Community Trust for its generous support of this program. We are in a continual push for investments to our aging water infrastructure, with an emphasis on management, incorporating a great deal of green infrastructure, support programs and incentives for clean water – both for daily living and recreational uses. With water contamination and scarcity issues on the rise, we are actively advocating for the protection of our waterways and their cleanliness. In the age of Trump, New York is going to need to push forward innovative climate change policies that show the way for other states and create a guaranteed market for renewable energy that encourages the private sector to continue to invest. New York’s spectacular open spaces not only provide awe-inspiring views and recreational opportunities, they help keep our children and families healthy. Our parks, rivers, lakes and oceans should be protected so future generations can enjoy them. Every single community must have clean air to breathe, well-maintained parks for recreation, access to fresh foods from local farms, and protection from toxic chemicals. We are fighting to make this a reality. In New York, over 30% of our emissions come from the transportation sector. We are working to support new methods to reduce greenhouse gas emissions from public to private transportation methods. Our greatest connection to our environment is in the food we eat and we have a responsibility to better understand what we consume, how it was grown, and where it came from.